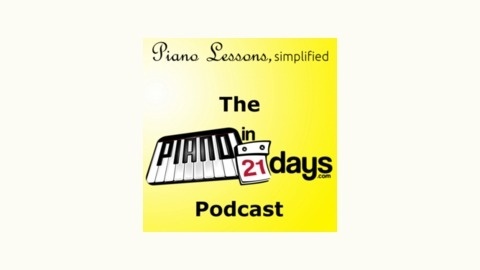 The most fun, most efficient, and most effective piano lessons on the internet. If you’ve made it this far, let’s all breathe a collective sigh of relief, as today should be a relatively easy day. 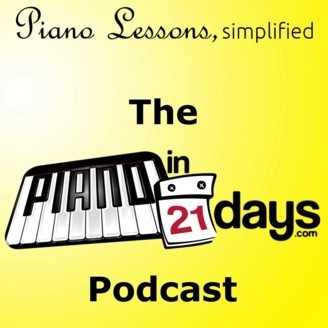 In just 5 days you now know every key on the piano, as well as many of the most popular chords. It’s high time we throw in the left hand. Up to this point everything we have done has been with the right hand and it’s time to change that. Today will be completely devoted to adding in the left hand to what we have already done. Let’s start with our trusty C major chord in the right hand. The way to add in the left hand for now is to stretch out your hand and play two C notes, one with your left pinky, and one with your left thumb. These two C notes will be the next two C notes to the left of the chord you are playing in your right hand. When you play the 3 notes in the right hand, also play the 2 notes in the left hand. Day 7, Practice Session 1 Use all the flash cards. Draw a card at random and play that major chord, adding the left hand as well. (this is a repeat of the last practice session from yesterday but with the left hand added) After Practice Session 1, that is all for today.